The good news about gum disease is the simplicity of preventive care for most people. The best way to avoid gum disease is to follow the same measures you take to avoid cavities: brush your teeth with fluoride toothpaste twice daily, floss every day, maintain a healthy diet, avoid tobacco use, and have your teeth professionally cleaned on a regular schedule. Your dentist may recommend twice yearly or more frequent checkups, depending on the state of your oral health. Even with daily home care, plaque can build up and harden into a tough substance called tartar. In this state, only a dental professional can remove it. In the early stage of gingivitis, it's possible to reverse or even eliminate the disease by increasing the level of oral care. But it's important to catch the disease as early as possible. Regular dental checkups are vital, as is an awareness of the warning signs of gum disease. If gingivitis progresses to periodontitis, serious problems including tooth loss can occur. It's long been established that smoking and tobacco use (cigarettes, cigars, pipes, chewing tobacco) increase the risk of cancer, lung disease, heart disease, and other serious health problems, but did you know they are also recognized risk factors for gum disease? Not only does tobacco use increase the occurrence of gum disease, it can also hinder the healing process by decreasing your ability to fight infection in your gums. 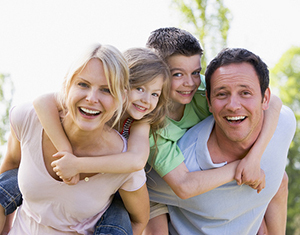 You have a higher likelihood of developing gum disease if it runs in your family. According to the American Academy of Periodontology, up to 30% of the population may be genetically predisposed to gum disease. If your close family members have gum disease, be extremely diligent in your home care and your dental visits. Women experience hormonal fluctuations during puberty, pregnancy and menopause, which can affect tissues in the body, including gums. Increased sensitivity in the gums can create a higher susceptibility to gum disease. Pay special attention to daily oral care and make regular visits to the dentist. Some drugs – including certain types of anti-depressants, heart medications, anticonvulsants, steroids, chemotherapy, oral contraceptives, and other medications – can affect your oral health. Drugs that lessen the flow of saliva can leave your teeth less protected than normal, and drugs that cause abnormal tissue growth can have an adverse effect on your gums. Be sure your dentist is aware of any medications you are taking. Any illness that interferes with the immune system's ability to fight infection – such as diabetes, leukemia or AIDS – can leave you more susceptible to gum disease. Additionally, uncontrolled diabetes can increase your risk for gum disease and gum disease may decrease your ability to control your diabetes. Take special care to brush and floss daily and make regular visits to the dentist.